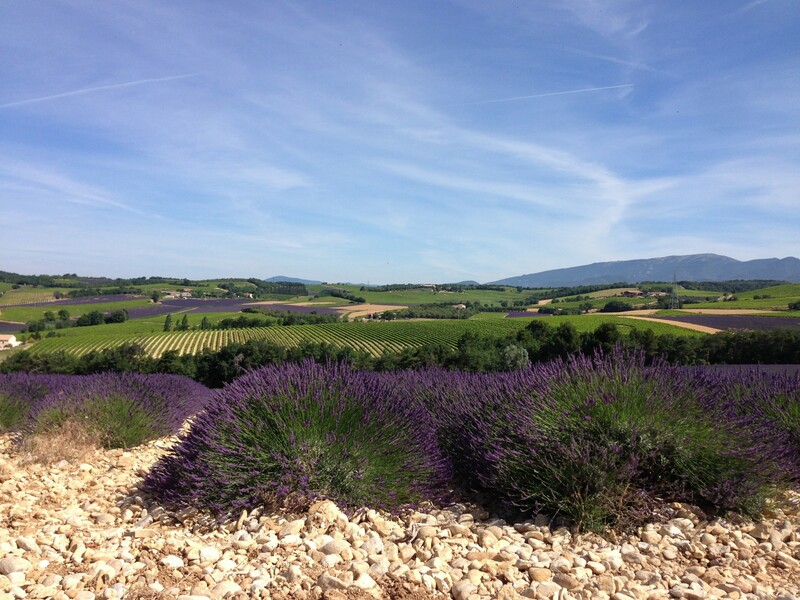 It’s the longest day today and as you can see the Lavender is now magnificently in full bloom. In the vineyard the vines have had their trim and are looking very neat. As with many things in life, trimming the vines is a delicate balance. Left to their own devices the shoots keep growing and then droop down shading the developing grapes – not good! On the other hand if you trim too much you rob the vines of the leaves it needs to photosynthesise and produce the sugars for the grapes – also not good! We hope to try and get it about right. 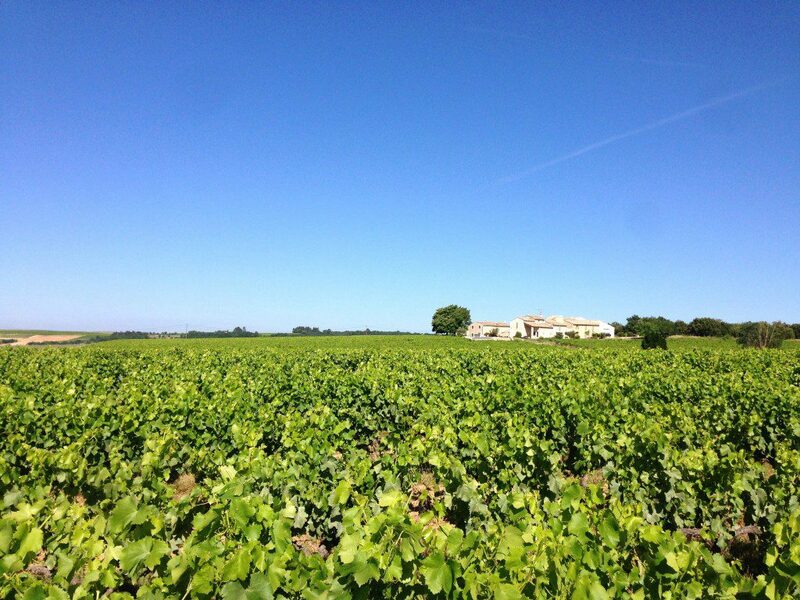 The photo above was taken yesterday morning, whilst I was out ploughing, looking back across the tops of the Grenache vines towards the Domaine, with perfect azure blue sky above.